The first track is “Seriously kidding”. Here the atmosphere created by the electric guitar and electronic devices, and the noisy, but not as in loud, nature of the track work as a sort of welcome committee from another dimension, where voices are substituted by sounds. Beeps and feedback run one after the other in vortexes and spirals of sound which you can feel free to call psychedelia for the twenty-second century. “Imasking,” the second track on the release, is dominated by the acoustic guitar. 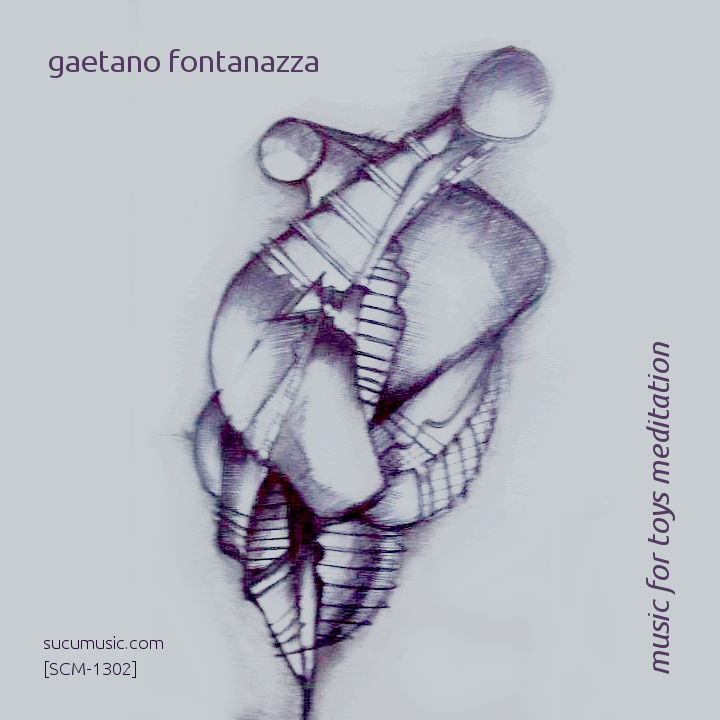 Much more melody here, though mostly atonal, and percussive glitches which counterpoint the open, airy chords and sparse notes Gaetano plays. Think of a desert, or an icy plateau, or even some stalactited-stalagmited fairytale-like cavern near the centre of a hollow earth, and you’ll get the picture. “Babbling in Tongues” opens with low soundscapes and glitchy percussions under which ominous chords come and go. Some distant guitar sounds and notes work like searchlights in a borealis night, as clouds roll by and everything is left suspended. Until percussion stops and the soundscapes and chords fade out into the night. The fourth track is “Ghostown.” Originally composed for the "Fukushima Drones Benefit Project". It opens with a reverberation of noise and watery sounds that morph into some unknown code from the outer space. Distant rumblings repeat over and again, as the noise mounts into something like smothered blast. Pure noise here, no recognizable sounds of guitar or any other everyday instruments, and yes what you’ll hear is undeniably sound which creates multidimensional environments and which remind us that there’s no difference between noise and music but in our minds and hearts. “Golden Afternoon” releases the previous tension with sweet, boundless ambient sounds on which gentle guitar notes weave ethereal landscapes. Melody and harmony claim their right to existence, a right Gaetano is more than willing to grant to them with this six-minute track which feels like watching the earth from a silent glider swooshing in the blue sky. Everything is smooth and edgeless here, as if this track were the other side of the coin you’ve been acquainted with so far. The calm after the storm, maybe, or even the other way round, the calm before the storm. The release ends with “Bralphig”, a track where distant high-pitched wails emerge from under low background sounds, as the song of whales could do at the bottom of the oceans. The usual glitchy percussion add a level of ‘earthness’ to a track which beautifully closes a splendid release for the ambient of the future.